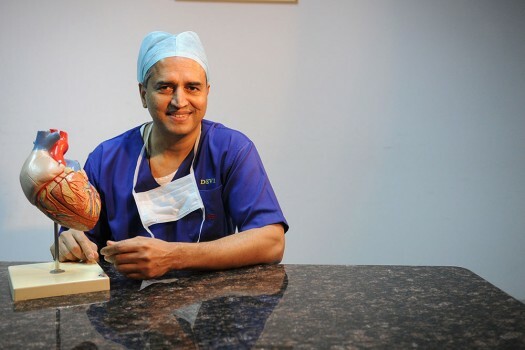 “How much will the surgery cost?” This is one question that has haunted Dr. Devi Prasad Shetty, world’s leading cardiac surgeon, Founder and Chairman of Narayana Health since he began his practice in 1983. Even today, more than three decades and over 15,000 surgeries later, he dreads the question from his patients. “As healthcare providers, it is important that we don’t lose sight of the person in the patient. A price-tag approach to human life is unfair not just to the patient but also to our abilities as doctors. There is something dramatically wrong in the way we currently deliver healthcare—cost is a bigger concern than the disease or its treatment. Something has to be done,” says the Padma Shri and Padma Bhushan Indian award winning cardiologist. A saint to perhaps many, Dr Shetty had attended to St Mother Teresa late in her life, which inspired him to make health care services affordable for the poor and the middle class. ‘She taught me a lesson: hands that serve are more sacred than the lips that pray’ he shares. While many medical professionals world grumble at the routine of an eight-hour work day, five days a week, 61-year-old Dr. Shetty’s working day often lasts up to 18 hours — and he does it with a smile. Dr. Shetty’s biggest legacy may be his pioneering work in developing a radically affordable health care model through Narayana Hrudayalaya, one of India’s largest multi-specialty hospital chains, in year 2000. Through a combination of economies of scale and specialization, the hospital provides top-quality care to an astounding number of patients, at a fraction of the cost of hospitals in the developed world. Dr Shetty has initiated a micro health insurance concept in Karnataka, a state in India. This eventually led to the Karnataka government implementing the Yeshasvini scheme, a micro health insurance scheme for rural farmers, with premiums as low as under $5 per year and a coverage of more than 5 Million people. This unique initiative has been covered by the Harvard Business School as a case study. 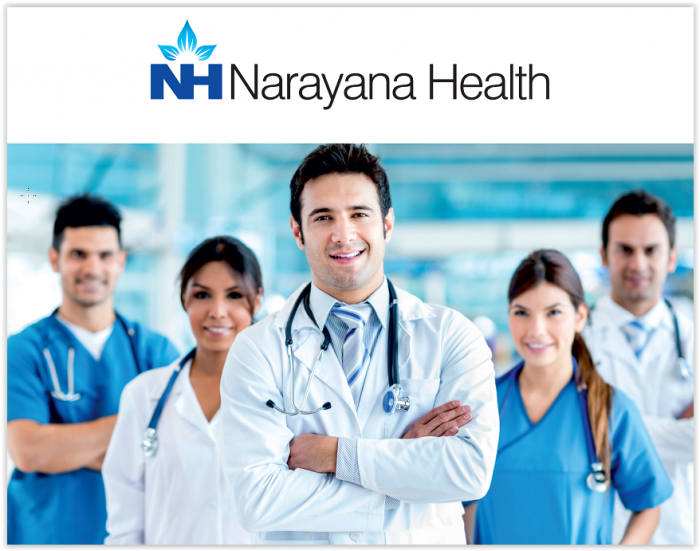 Narayana Health now operates a network of hospitals across the country. Starting from a modest 225 operational beds, it has presently grown to be one of India’s largest Hospital groups with 24 hospitals, 7 heart centers, and 19 primary care facilities across India and an international hospital in the Cayman Islands. 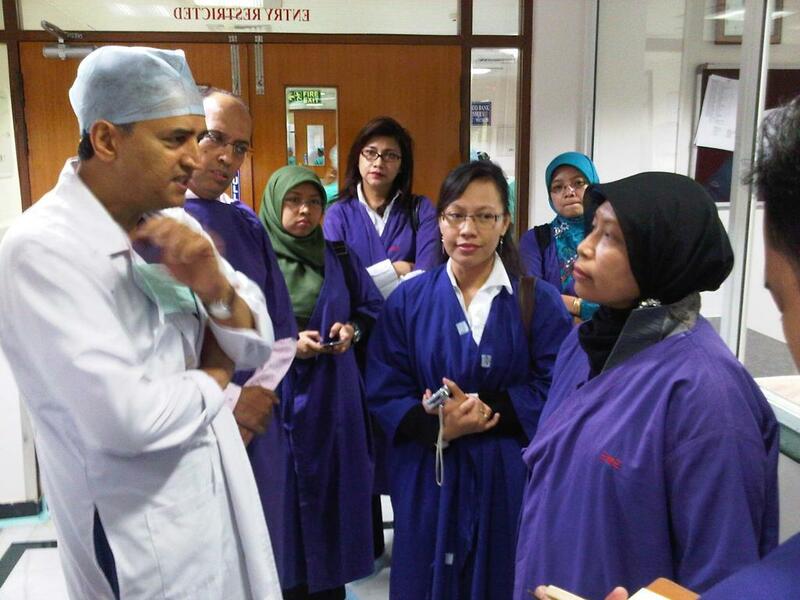 Most of its hospitals adhere to and are accredited with National and International Quality standards. Our world class hospitals are spread across all major cities in India like Bengaluru, Delhi NCR, Gurugram, Mumbai, Kolkatta, Ahmedabad, Jaipur etc. The Narayana Health brand is strongly associated with delivering world class, high-quality, affordable healthcare services to the broad population. Our core values are represented by the acronym iCare, which encompasses innovation and efficiency, Compassionate care, Accountability, Respect for all, and Excellence as a culture. NH offers advanced levels of care in over 30 specialties, including Cardiology and Cardiac Surgery, Cancer Care, Neurology and Neurosurgery, Orthopedics, Nephrology and Urology, and Gastroenterology. With centers of excellence for transplants and has experienced teams performing Heart, Liver, Kidney and Lung Transplant. NH runs one of the largest Dialysis units in India with more than 2,50,000 Dialysis procedures done annually. NH has official tie-ups with several major international medical insurance companies and thus provides a hassle-free, straight forward medical journey for our patients. Due to our excellent medical outcomes, we have become a partner of choice for many Governments, Ministries, Corporate, NGO’s, etc from across the world. Narayana Health has truly made a difference in the Healthcare scenario with sound business principles, many innovations and use of Technology for efficiency, better outcomes and lower cost. Tele Medicine, Tele Radiology, Mobile Cancer Screening Units, Online Consultations, CME’s and Health talks have made the healthcare pool of NH accessible across borders. The NH brand is widely recognized and respected the world over. Patients from more than 78 countries trust us for their medical needs. Along with many other countries, NH has been treating patients from Bangladesh, Middle East, Africa etc. since a long time and has now become a household name, synonymous with Good, ethical and affordable health care. We have been fortunate enough to also treat few patients from Indonesia for Cardiac Surgery, Kidney Transplant and Bone Marrow Transplant. Many of such success stories and patient testimonials can be found on our website. Narayana Health understands the needs of International Patients, and hence provides a single window for end to end services, while catering to the specific requirements of patients and their attendants. To make the International patients feel comfortable, NH offers a range of personalized Concierge services like Medical opinion & Visa invitation, Airport Pick up and Drop, Language Interpretation Services, Foreign Exchange services, Accommodations, International Cuisine and television Channels, Prayer Room, Travel & Tour Assistance, Medical / Legal and Visa Assistance, International standard Patient Rooms etc. To ensure continuity of care even after discharge, the team assists in setting up follow up calls between doctors and patients. With the aim of spreading knowledge and helping healthcare in other countries to advance, Narayana Health promotes training of doctors, nurses and paramedical staff from across the globe. NH conducts certified training programs, which has been a very successful initiative. At any point of time there are close to 1900 students / doctors undergoing training at our various institutes / hospitals. NH Hospital Bangalore was fortunate to be able to successfully treat and to cure Kevin, a child from Indonesia, who recently underwent a Bone Marrow Transplant, and is fine now. Gradually more and more patients from Indonesia, are discovering the joy of personalized, world class treatment at very affordable costs.